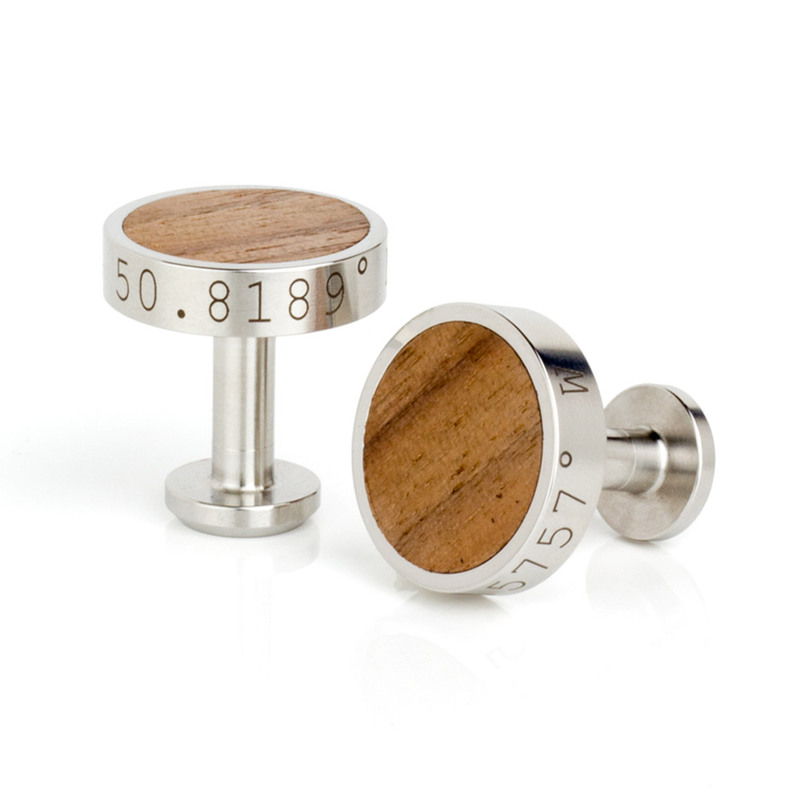 Personalise the circumference of the cufflinks? These premium quality Stainless Steel Cufflinks with solid walnut wood insert offer a touch of class to any shirt and will make an ideal gift for special occasions such as 11th wedding anniversary (steel), or birthdays. The stunning natural grain from the walnut adds an element of contrast against the machined finish of the steel making them not only useful but a great talking piece! 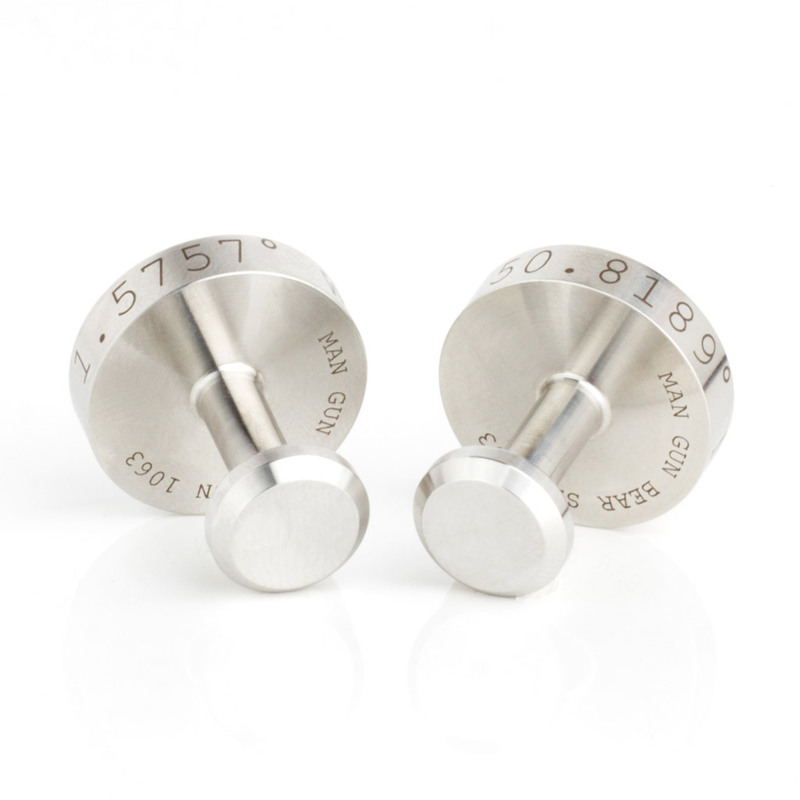 You can engrave a message, initials or date around the circumference of each cufflink to add a truly bespoke feel, there is an additional £15 charge for this. 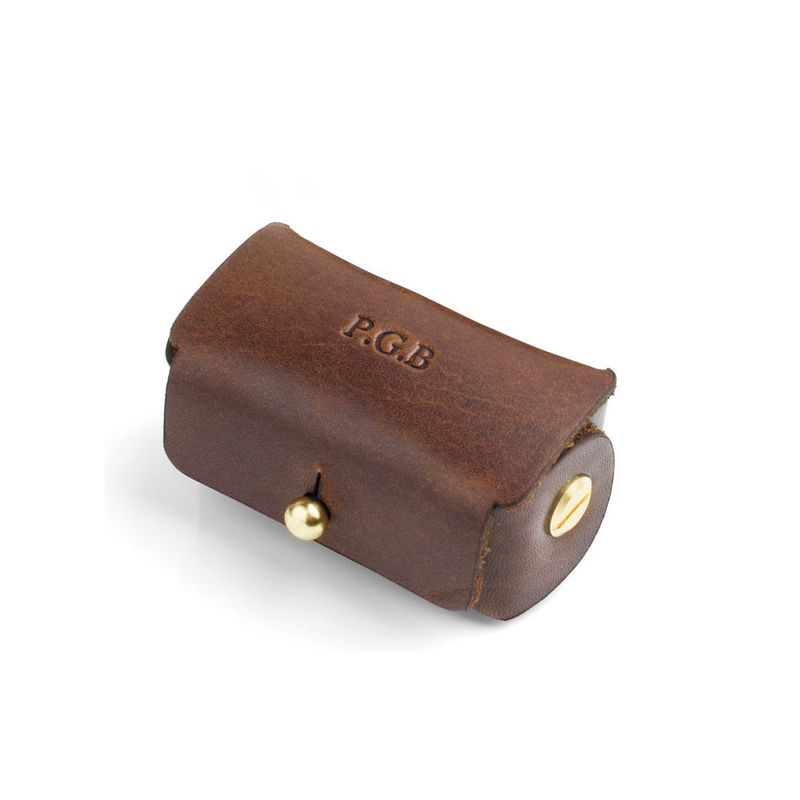 Your cufflinks will be presented in a hand crafted leather pouch, cleverly constructed from one piece of leather and fastened with brass chicago screws, ideal for storage and travel business alike. This too can be personalised for an extra £3 - if you require this then please add details in the personalisation tab. Each pair of cufflinks is also subtly engraved with 'Man Gun Bear' and a serial number on the underside of each cufflink, to ensure complete authenticity and also means that every pair of cufflinks is unique to the individual. Dimensions: Diameter of top 16mm, Diameter of base 11mm. Delivery is FREE to all locations in the UK and all items are posted via Royal Mail. 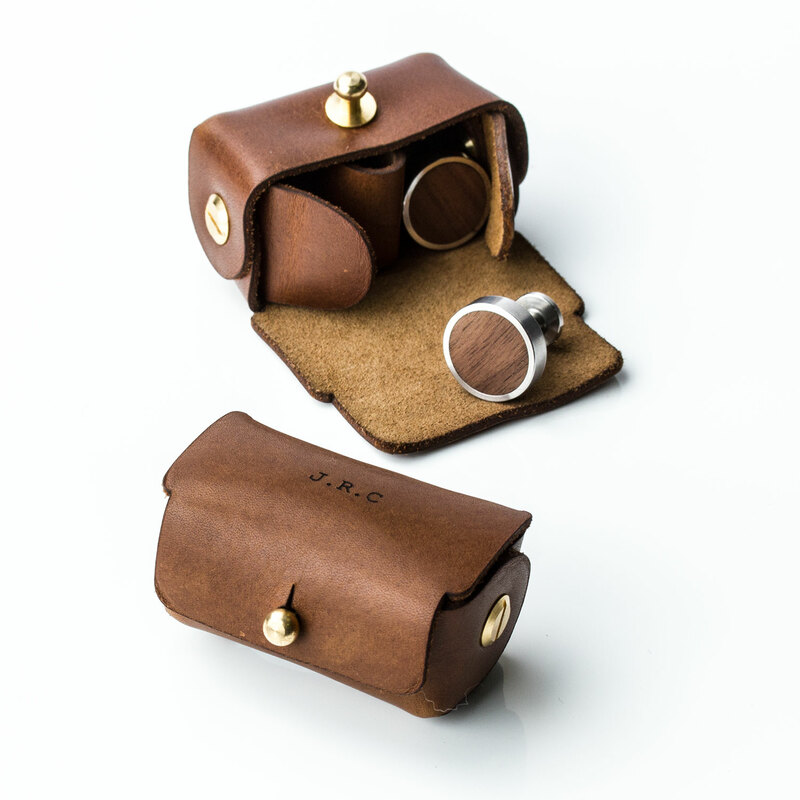 You should receive your Personalised Stainless Steel and Walnut Cufflinks within 2-3 days of ordering. Please note - Northern Ireland can take a day or two longer due to remote locations. We will notify you once your Personalised Stainless Steel and Walnut Cufflinks have been dispatched.